Type English in the box given below. As soon as you'll press SPACE, the word will convert in Telugu. For example, to write "తెలుగు" you should type "telugu" and then press SPACE key. If you want to type something in English in the middle of Telugu text, press Ctrl+g to toggle between English and Telugu. 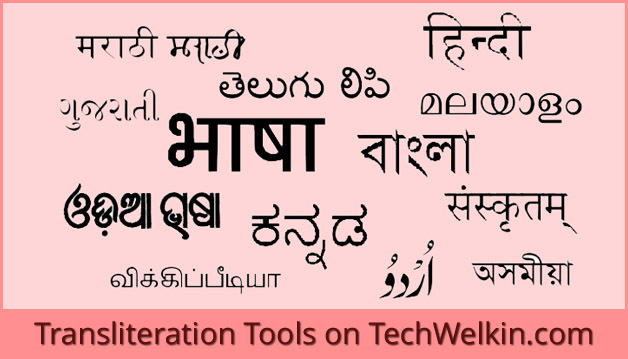 TechWelkin English to Telugu Conversion Tool helps you in typing Telugu using Roman English characters. Telugu is an Indian language. It is mainly spoken in Andhra Pradesh and Telangana states of India. It belongs to the Dravidian family of languages. If you want to learn typing we have published a list of best software to learn touch typing. Nowadays, Telugu input is available on various digital devices. However, online Telugu content is still insignificant. This English to Telugu transliteration tool helps even the novice users to type in Telugu script. The reason behind its simplicity is that it is based on phonetic scheme. That means you will just type what you pronounce. Using a regular English keyboard, you can type in English and this tool will automatically convert text into Telugu script. Once you have typed the text, you can save it in your computer as a Microsoft Word file for later use. Otherwise you can just copy the Telugu text and paste it in WhatsApps messages, FB posts, tweets, blog posts or website pages. This Telugu typing tool gives you text in Unicode format. That makes the text readable on all the computers without any need of a specific font. If you’re a Telugu speaker, you should learn to type in your own language and use such text on Internet as much as possible. Such a practice will help in developing Telugu content online. Internet content is dominated by English. There is no doubt that English is a good language but Indian languages are also very beautiful. We should strive to promote all the languages online. There is beauty in variety. You can help in this mission. Use this tool to type in Telugu. This typing tool is powered by Google Transliteration. We are constantly working on improving it even further. Do let us know your valuable feedback! We will use it in making this typing tool better.